This site is for Retail Stores only. 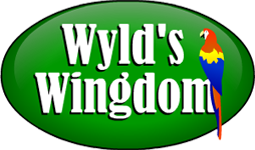 If you own a retail pet store and do not have a login or password for this site, please contact Wyld's Wingdom at 1-800-366-9953 or complete this form. If you are an existing Wyld's Wingdom Customer and are having any problems logging into the shopping cart, please contact Wyld's Wingdom at 1-800-366-9953 or e-mail us at info@wingdom.com. Your login and password from our old shopping cart should work on the new shopping cart. Please let us know if you are experiencing problems logging in so we may transition you to our new site. Copyright © 2019 Wyld's Wingdom, Inc. All Rights Reserved.